Denmark may be a small country with a population of about 5.7 million people, but there are actually around a quarter of a million Danes (and their immediate descendants) living abroad. You would think they might somehow prove to be an invaluable resource for Denmark, but a new survey has shown that the mast majority feel under-utilised by their homeland. The survey (here in English), conducted by the two organisations Copenhagen Goodwill Ambassadors and Danes Worldwide, revealed that 70 percent of Danes living abroad said they didn’t think Denmark excelled in using them as a resource. Additionally, 80 percent didn’t think Denmark did enough to retain their connection to their homeland. 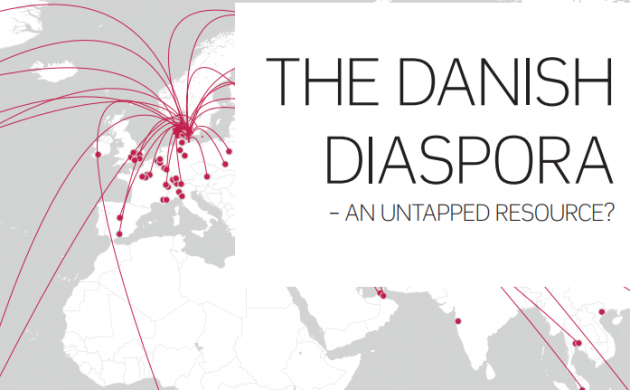 “Danes abroad have been an ignored resource that we, as a country, owe ourselves to better benefit from. Most are of working age and often specialised employees who help paint a picture of Denmark abroad,” said Thomas Bustrup, the head of the confederation of industry, Dansk Industri (DI). In order to tackle the issue, Danes Worldwide, the Foreign Ministry and Copenhagen Capacity yesterday launched a new taskforce dedicated to the government strengthening the bonds with Danes living abroad and better capitalise on their international network. PM Lars Løkke Rasmussen attended the launch and conveyed that he was looking forward to receiving the recommendations of the taskforce. Flemming Besenbacher, the chairman of the board at Carlsberg, has been named chairman of the taskforce. “The goal is to get in contact with the 250,000 Danes living outside Denmark’s borders to see how they can contribute to promoting Denmark, attracting talent to the country and utilising their knowledge and network,” Besenbacher told Børsen newspaper.